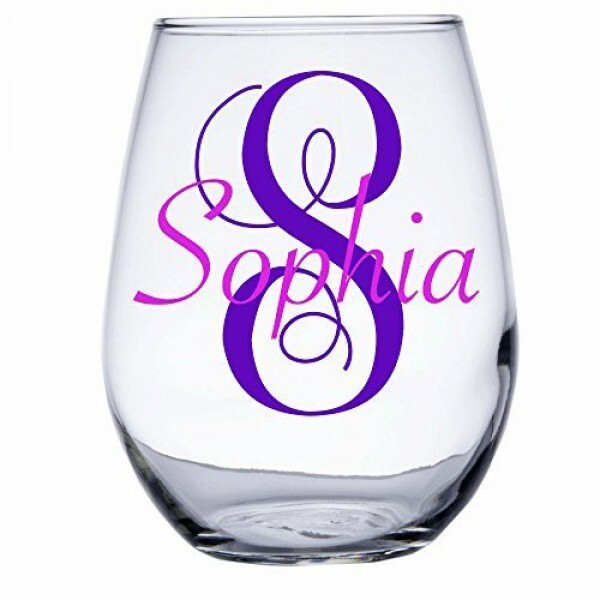 Monogram the glasses for free,we make the colorful words into a sticker by uv printing,then paste the decal to the glass. So please leave a message to tell us which font and color you prefer ,and the name you want to make when you make the order. Question about Personalized Stemless Wine Glasses is Successfully Submitted.